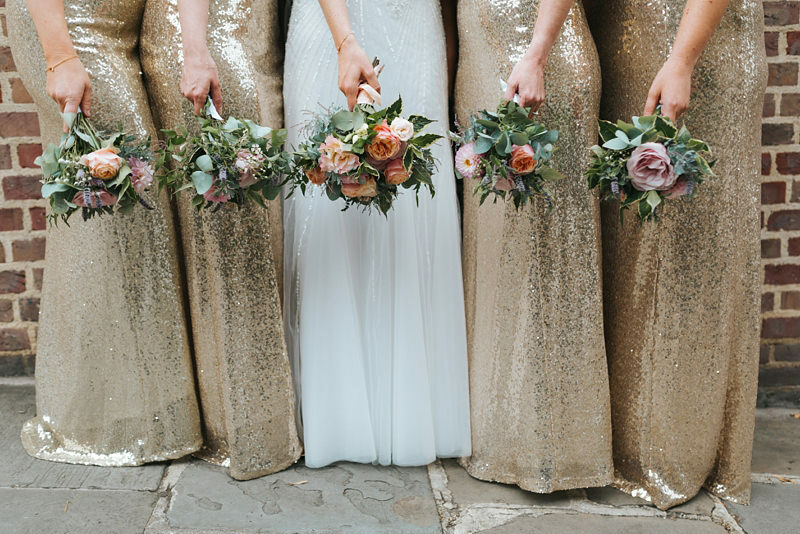 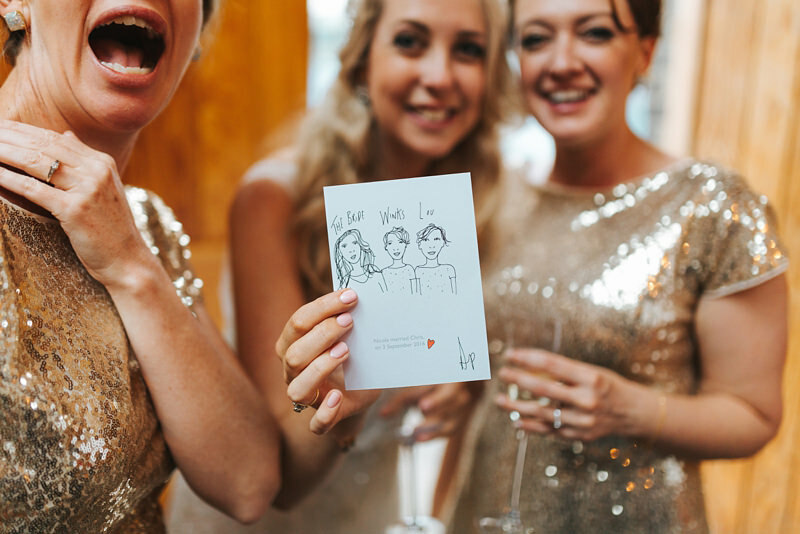 Bridesmaids in gold sequin dresses, metallic geometric shapes and a portrait machine, just a few of the quirky features of Nicole & Chris’ Aussie/English wedding in London. 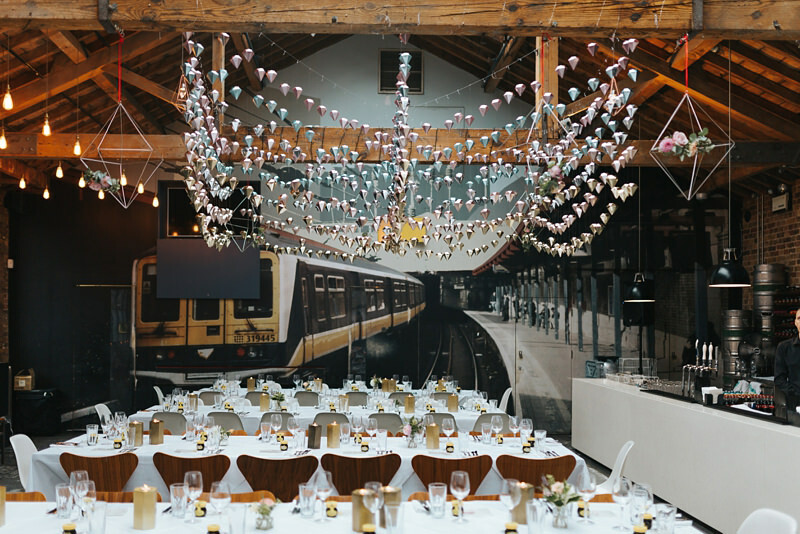 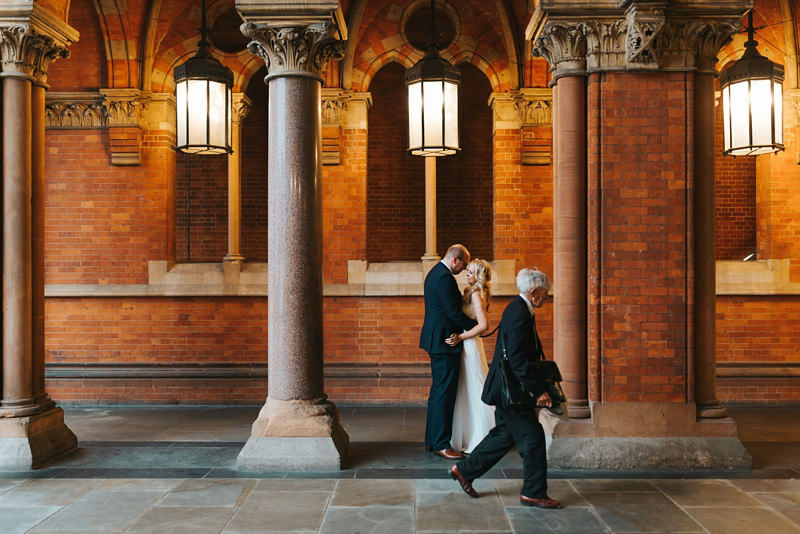 After bridal prep at possibly the coolest apartment in Kings Cross, the clocktower at St Pancras, Nicole & Chris were married at Burgh House in picturesque Hampstead. 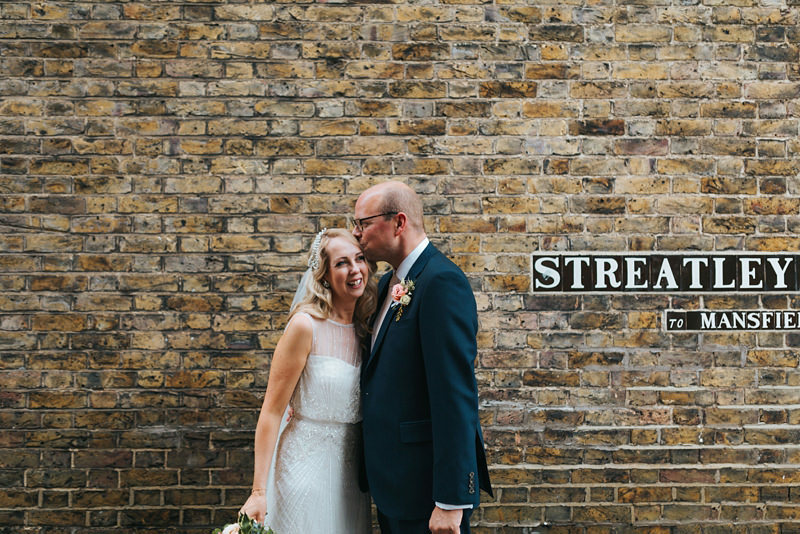 We made our way to the reception on a vintage red double decker bus & jumped out in Kings Cross for some pictures & a rainy walk to 6 St Chad’s Place, decorated with hand made geometric shapes hanging from the ceiling, mini jars of marmite, a wedding cake on a dinosaur and Aussie fridge magnets. 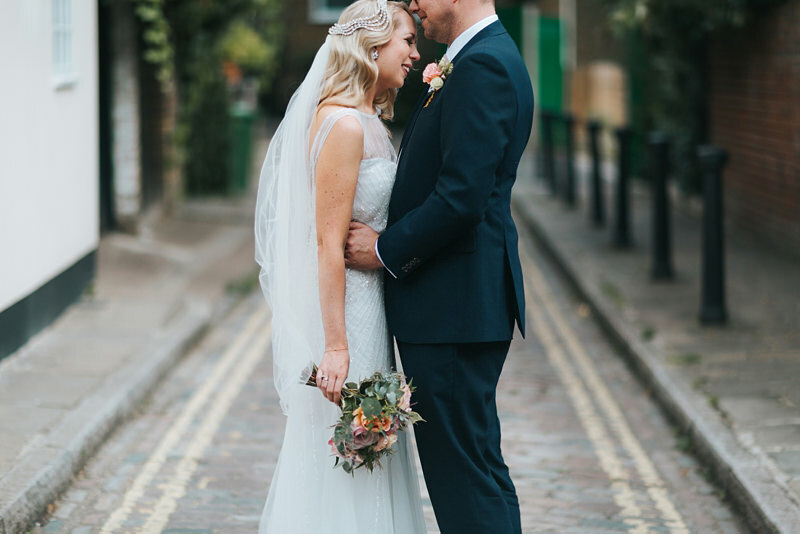 Nicole looked stunning in an embellished Rosa Clará gown with 1920’s inspired waves in her hair. 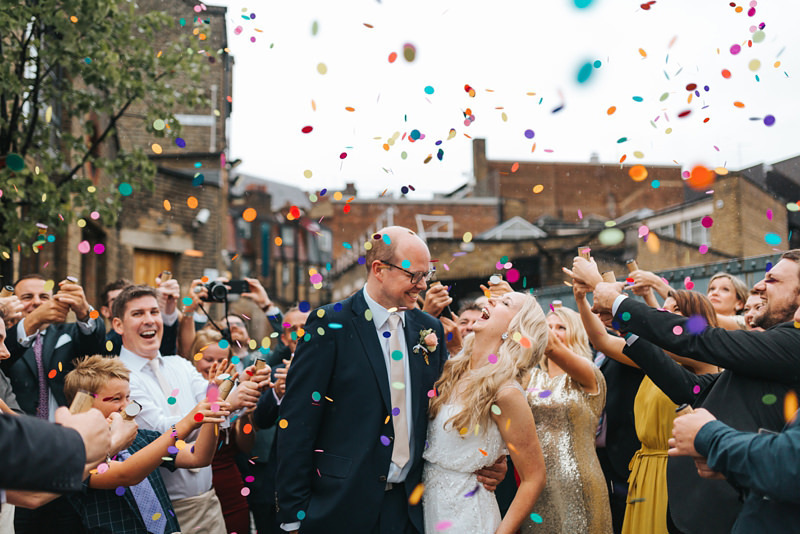 It drizzled for most of the day but these two weren’t phased at all, we even popped outside for a confetti shot in the rain. 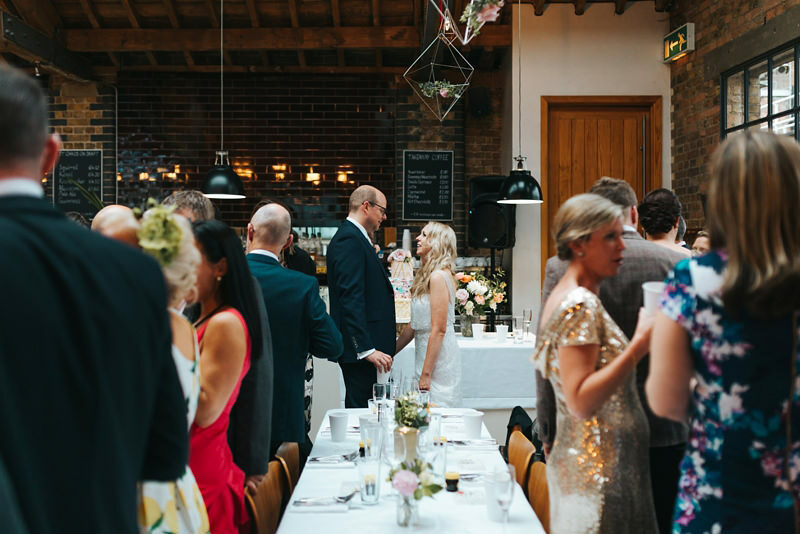 Here are a few previews from Chris & Nicole’s metallic, geometric wedding at Burgh House & 6 St Chad’s Place in London. 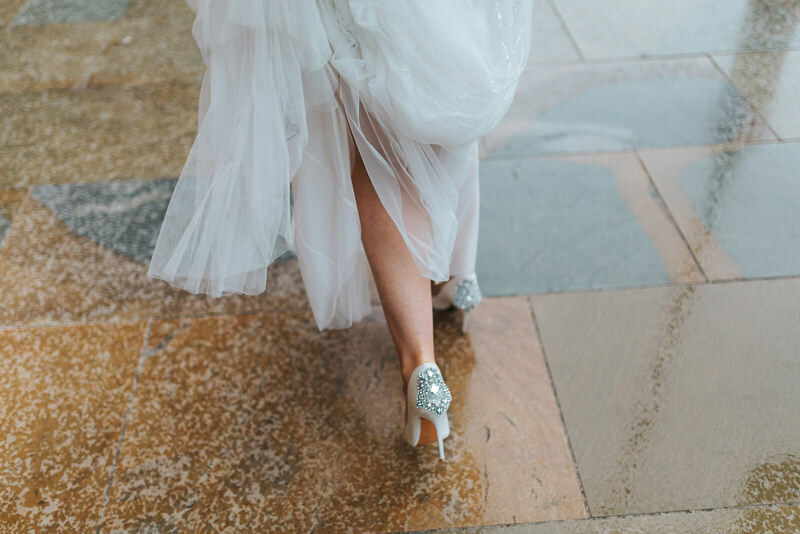 Follow me on Facebook for updates & to see the full wedding in the coming weeks.